As entrepreneurs a good portion of our overall budget goes to marketing… it’s necessary. After all, being a best kept secret does not help to increase revenue! The problem is that marketing often seems to be Hit… or… Miss. There’s not always a great ROI, and that’s super frustrating when you aren’t seeing conversions from your Facebook ads, or speaking engagements or networking events that not only cost you money, but your time, too. Maybe you’ve noticed that you are not attracting the client or customer you really desire to have… The ones that light you up, and make your work most enjoyable. So WHAT IS IT that is not working? I can tell you one thing that was a big problem for me… messaging. In order to magnetize the ideal client to you, your brand messaging is most effective when it is authentic, and driven by… YOU. Your core nature, your values and your strengths. So you say, great Sandi thanks. What do I do with that? Hang on… I got you! Helping people create clear communication and messaging is my expertise, it’s what I love to do. So imagine how excited I was when I found a new tool that reveals your powerful, instantly recognizable presence within you that is an automatic ideal client-attractor! Understand the fascinating difference between Branding like everyone else does and Promoting Your Brand with Archetypes. Find your core nature and the coordinating driving force of your company. Discover how to add dimension, color, tone and uniqueness to your brand with your influencing archetype. Uncover why clarifying your archetype can help you to create a marketing message that directly magnetizes your most desirable client or customer to you! Stop wasting money on marketing that is not in alignment with you, and your core nature. And did I mention, it’s pretty darn fun, too? Join me and experience this fascinating process to help you discover your authentic brand that sets you apart from the crowd. It’s 40 min… All about you! 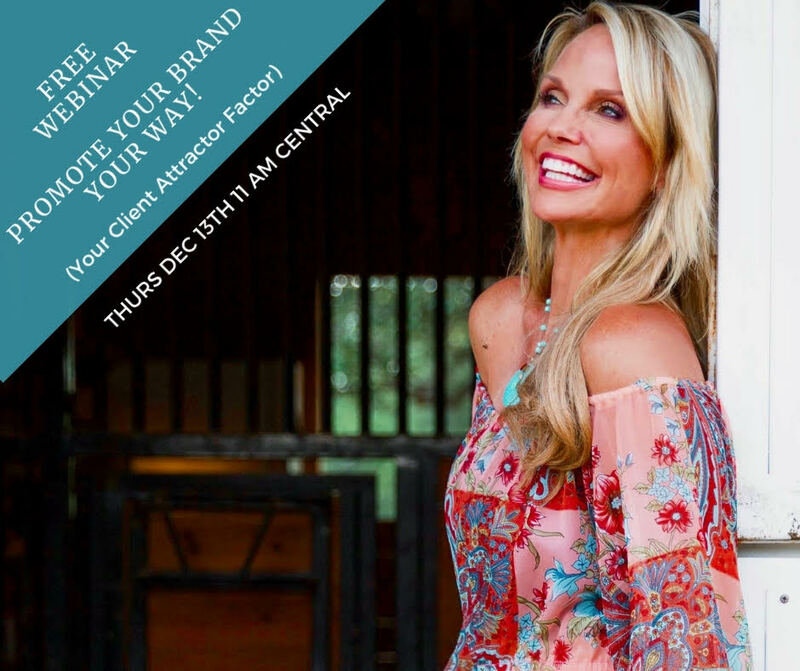 Click the share buttons and let your friends know about the FREE Promote Your Brand Your Way (Your Client Attractor Factor) Live Webinar happening on December 13!